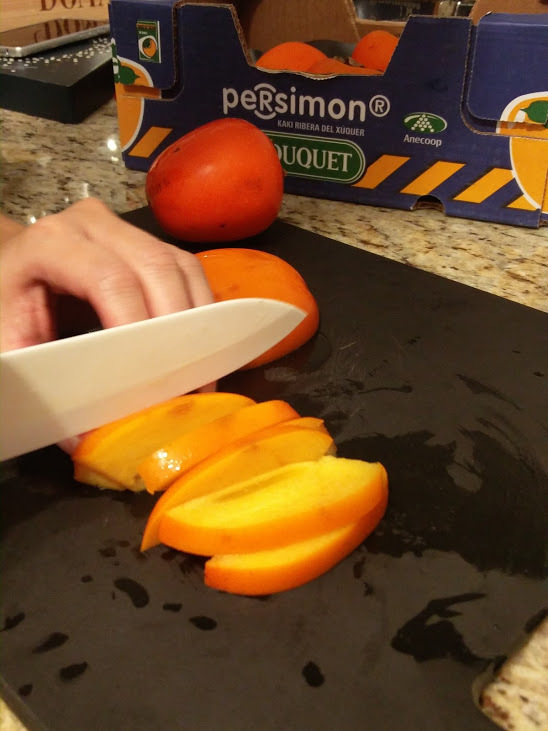 I recently had the opportunity to learn, taste and create a recipe using Persimon® brand Persimmons. The Persimon® Rojo Brillante variety of persimmons are grown in Ribera del Xúquer Valley (Xúquer River Valley) near Valencia in Spain. They are available seasonly (October to January) in Metro and Sobey’s stores in Toronto. 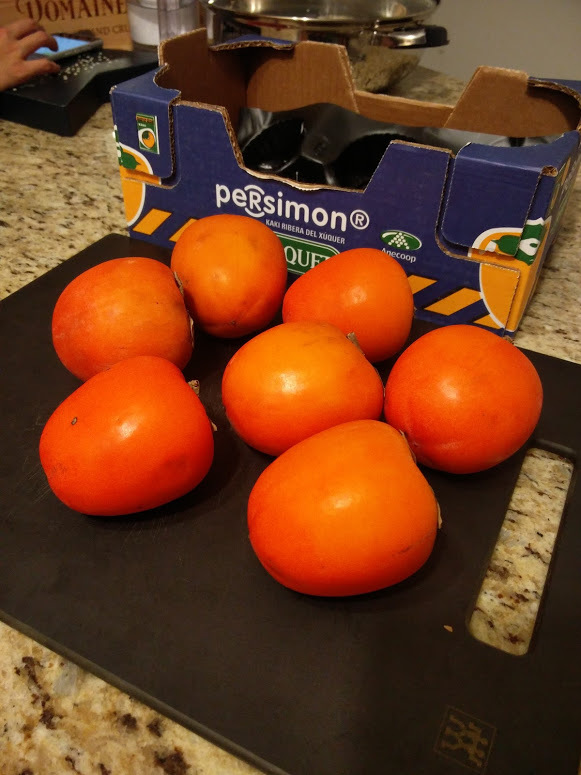 I purchased a box of Persimon® Rojo Brillante Persimmons, which are different than other varieties because the fruit is firm, sweet, and immediately ready to eat. This variety does not need ripening (ripe when firm), as opposed to other types of persimmons that need to become soft and ripe to be eaten. I liked these persimmons because I could wash them, cut them up and eat them without any special prep. They were mildly sweet with a little bit of crunch, kind of like a hybrid mix of a ripe mango and a crunchy apple. Persimon® persimmons are also rich in fiber, vitamins and only available seasonally in Toronto. 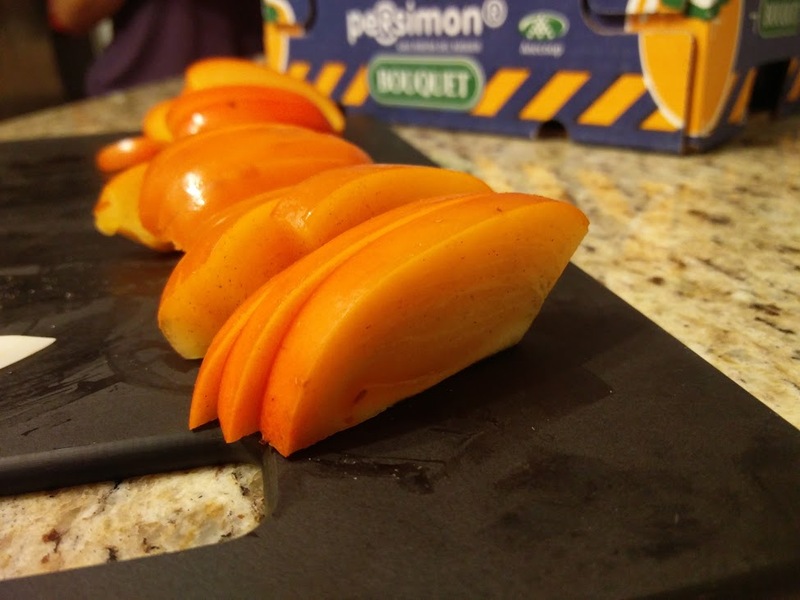 After snacking on some Persimon® persimmons, I got some help from dessert expert Jessica (@jellymean) to create a recipe for a beautiful Persimmon dessert. This recipe is split into 3 parts. 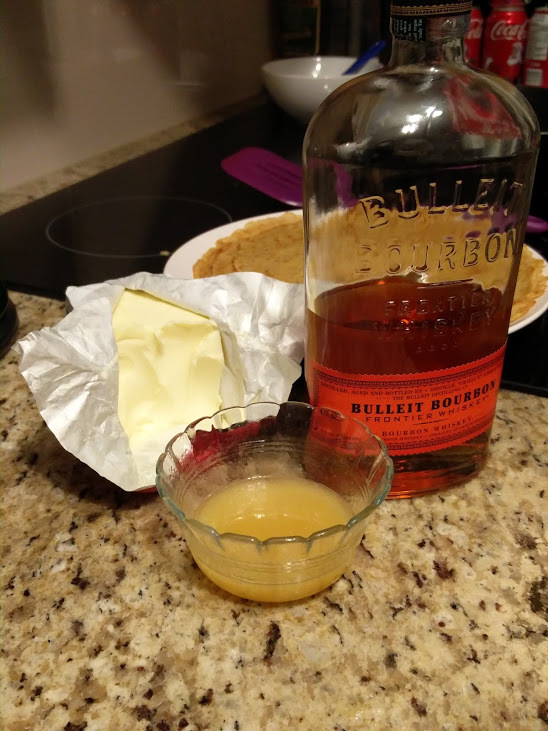 Part 1 is for the bourbon poached persimmons, part 2 is for the finnish pancakes and part 3 is where the whole dessert is put together! Pour in a thin layer of the batter just so it covers the bottom. Once it is golden brown on one side, flip and cook the other side to golden brown. 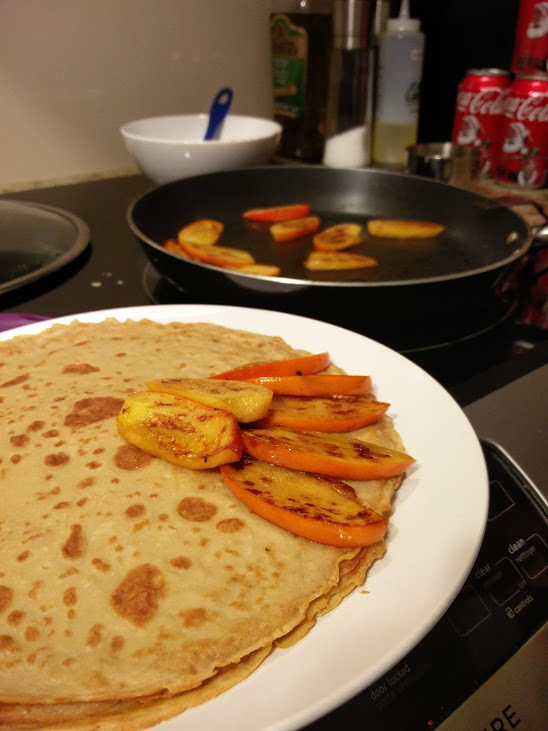 These Finnish style pancakes are more similar to crepes than regular pancakes. 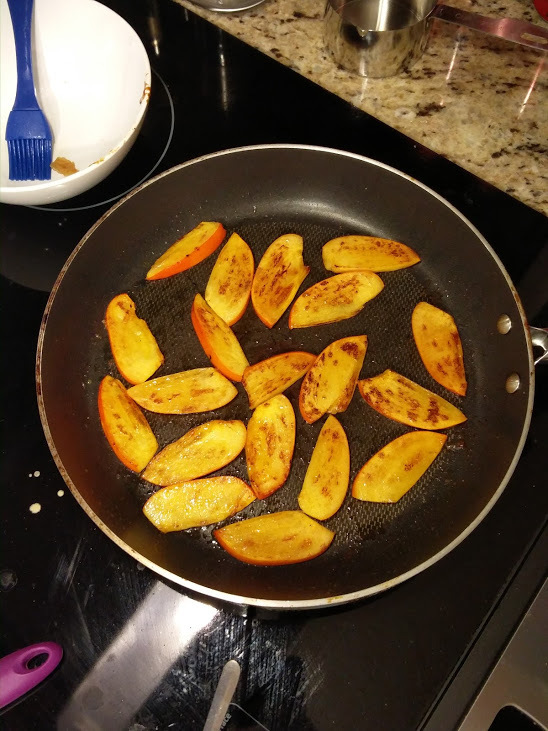 If you have a grill pan that would be a good nice grill marks on the persimmons. But if not a pan will do. 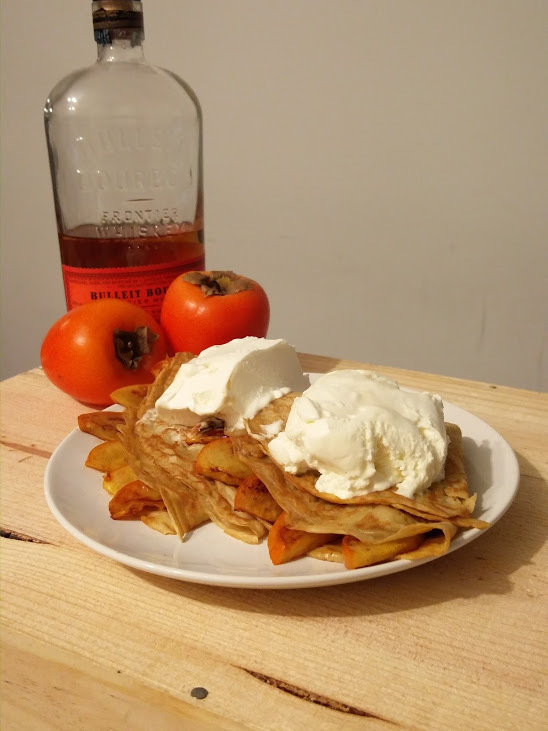 Place the bourbon poached persimmons (Part 1) onto the completed Finnish Pancakes (Part 2). 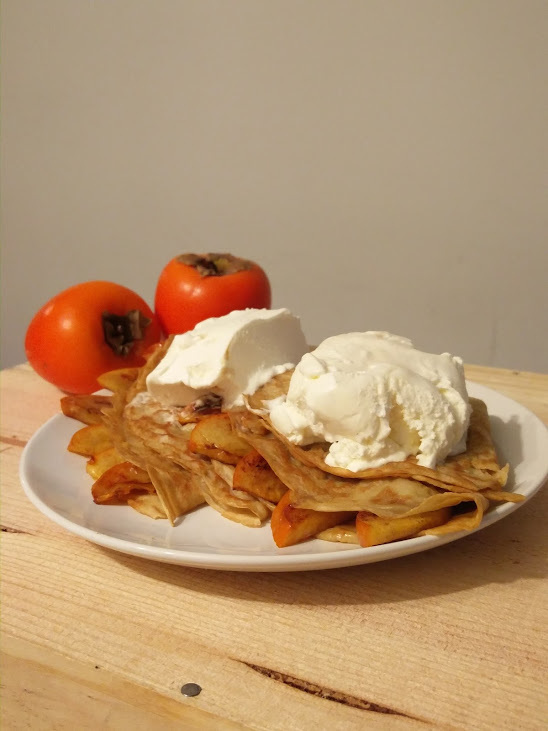 You can have fun with this part and use more persimmons per pancake depending on your taste. Fold the pancakes however you would like and serve with vanilla ice cream for extra tastiness! Read more about Persimon® Persimmons at persimonsays.com!